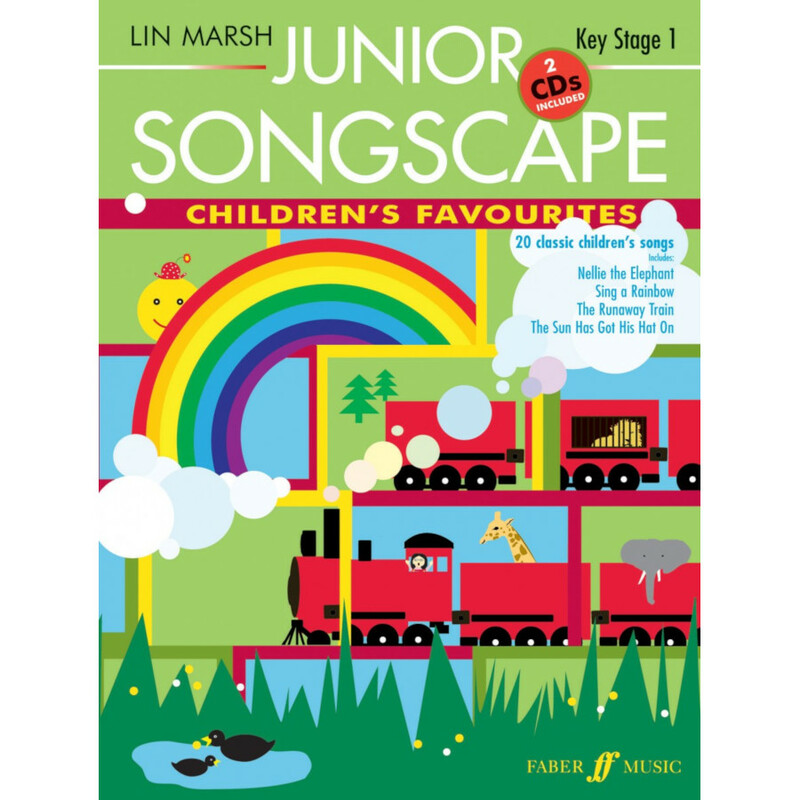 Junior Songscape: Children’s Favourites is the perfect resource for infant and lower primary school singing, carefully selected and arranged by Lin Marsh. A timeless collection of 20 best-loved children’s songs. Includes suggestions for adding movement, by experienced choreographer Wendy Cook. Ideal for bringing confidence and fun to classroom singing, with vocal ranged carefully considered for Key Stage 1 (Scottish P1-2) voices. Keyboard accompaniments are well within the grasp of Pianists of moderate ability. 2 CDs include complete performances of all the songs, plus backings ideal for rehearsals or performance. Lyrics included on enhanced CD for easy printing/projection.